Exciting news! For a few more days, you lucky people can get every single Grimbold catalogue for only 99p an ebook. 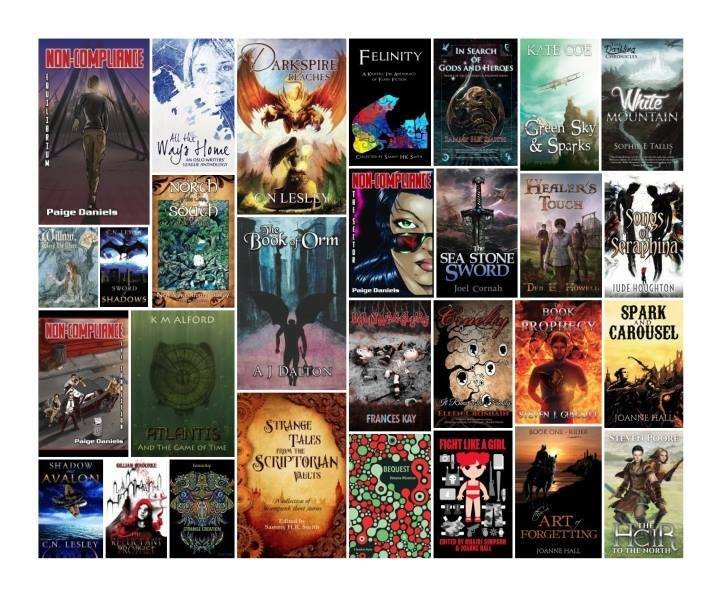 Seriously, if you haven’t sorted your reading for your holibobs or are looking for something new to try in the fantasy genre, give us a go. It’s only 99p. you’d spend more on an icecream. Everyone’s but in the immediate to be read pile are Joel Cornah’s books, Joanne Hall’s, ‘Cruelty’ by Ellen Croshain and ‘Green Sky and Sparks’ by Kate Coe. ‘Green Sky & Sparks’, ‘Reluctant Prophet’, ‘Darkspire Reaches’, ‘In Search of Gods & Heroes’, ‘Spark and Carousel’ & ‘Cruelty’. ‘Cruelty’, ‘Darkspire Reaches’, ‘Songs of Seraphina’, ‘The Reluctant Prophet’, ‘Shadows over Avalon’ and ‘Felinity’. Currently reading ‘The Book of Prophecy’, then onto ‘White Mountain’, ‘In Search of Gods and Heroes’, ‘Cruelty’, and ‘Atlantis and the Game of Time’. We’re excited to get these books for 99p! You should be too! You have until the 4th August to grab them!